Chou Chou! Adventures of a Briard Girl : Chou Chou Briard: I Lost My Tooth! Chou Chou Briard: I Lost My Tooth! It's next to the big canine tooth, on the top. She doesn't need it to chew, but I hated that it had to be extracted. The vet had to use full anesthesia and cut her gum to get it all out. Dogs have much bigger, deeper roots on their teeth than people have; but they have thinner enamel, so their teeth crack more often than human teeth. A cracked tooth with the root exposed can lead to a dangerous infection, so it had to be removed. I consulted with a board certified dental vet first, to see if root canal would be an option, but he said it would be easier on Chou Chou to just have an extraction. It was extracted a week ago, and the incision, with dissolving stitches, is healing well. Chou Chou seems a little droopy ("It's that pain pill! "), so I thought a therapy dog library adventure, Read To A Dog, might cheer her up. And I had the perfect book for the children to read to her: I Lost My Tooth, by Hans Wilhelm. Chou Chou can only eat softened food right now, until the stitches have a longer time to heal. And then ... don't worry, Chou Chou! 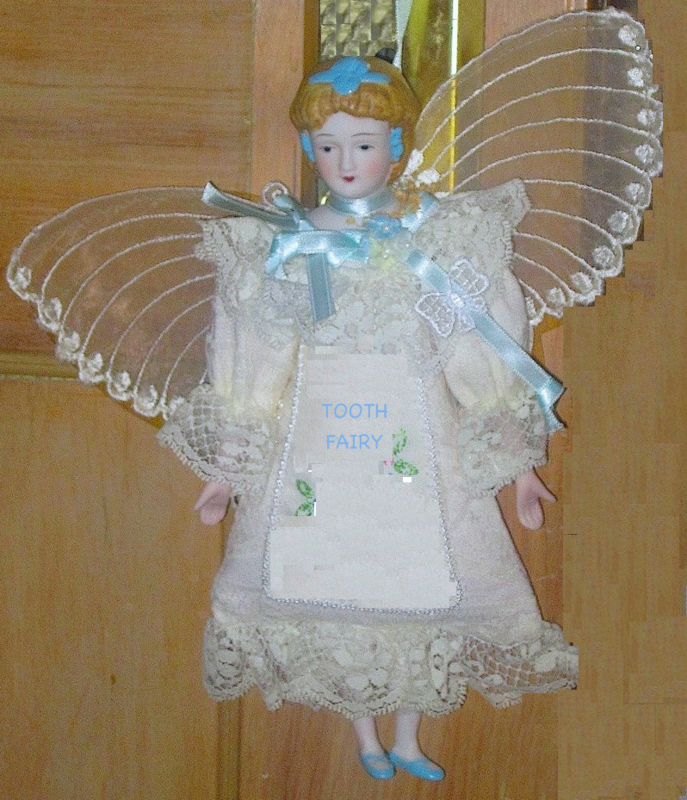 ... the tooth fairy will visit, bringing special treats.